If you are like most other individuals or businesses, your home and/or business has probably got a lot of outdated computer gadgetry lying around collecting dust. Some of this equipment may only need a few inexpensive repairs. If you have several older pieces of computer technology that only need a quick fix or two, you might want to consider have a computer repair pro fix all such devices so that they can be used again. There are many ways that outdated technology can still be used in the modern world. Older laptops and tablets can be used as extra E-readers. Extra E-readers can be used when someone is away from the computer and doesn’t want to stare at the tiny screen of a smartphone while reading an ebook or an important document. There are an endless amount of options for this type of usage. Instead of leaving a post-it note, why not use some kind of older tech device as an type of “E-note” that displays messages at strategic locations around the home or office. How about a warning on your family’s kitchen table, instructing your children to wipe their feet before they come into the house. You should also realize that there could be one or more multiple monitor setups in your home or business that could use a few extra monitors. Maybe one of the employees needs an additional monitor so they can run Skype all day long. Maybe your youngest daughter would like to have another screen that she can devote to one of her more important e-mail accounts. The possibilities are endless. Do you need extra monitors in your garage or backyard shed. Does your truck need extra monitors for your trail cameras? Maybe a monitor in the doghouse? Just kidding. There are probably several locations around your workplace or residence that could use another monitor or two for any number of reasons. So if you have a few older laptops lying around that only need a few quick adjustments, then bring them in and get them running again, so they can come out of retirement and provide you with even more visual enhancement in your life. Is there a spot in your home or office that receives a heavy amount of traffic? Maybe this would be a good place for an anonymous computer. It would be a convenient way to access the net or view some type of media with a regular-sized screen. 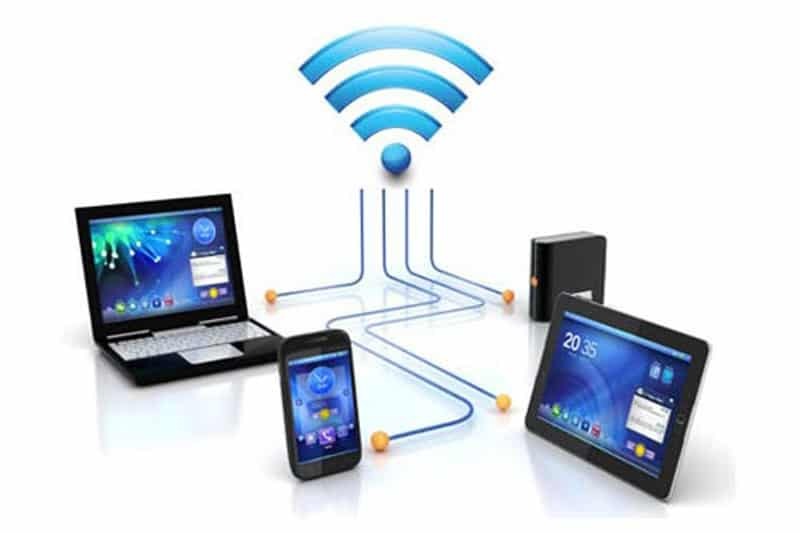 Would you like to extend your Wi-Fi range? Then try Connectify or another similar program. You can turn your outdated laptop into the center of another wireless network. All you have to do is connect your old computer to your router with an Ethernet cord and then run the software. Now you have an extra network that can increase your wireless range and signal. Just because a computer is out-dated does not mean that it would not be useful. There are needy families all over the world that could use your old computers. Why not give a few of them away? You will make the world a much better place for someone who really needs it. So with all of these uses for your old broken down computer gear, you should see your local computer repair center so they can help put all of this older equipment to good use. You should also remember that if you can’t find any use for your older devices, then your local computer repair store will probably know somebody who will.